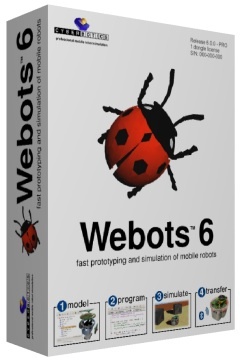 Webots allows a user to model any mobile robot with accurate simulation. User models included (Harmonic Arm 6M, e-puck, AIBO robot, humanoid robot, Blimp flying robot, soccer robot, LEGO Mindstorms robot, Hemisson robot, etc.) or create his/her own model by shaping a robot and setting sensors and actuators. Models and simulates any mobile robot, including wheeled, legged and flying robots. Includes a complete library of sensors and actuators. A number of sensors can be plugged into your robot model and tuned individually (range, noise, response, field of view, etc.). Similarly, a number of actuators can be plugged into your robot model, and even be combined hierarchically. The simulation system used in Webots uses virtual time, making it possible to run simulations much faster than it would take on a real robot. Depending on the complexity of the setup and the power of your computer, simulations can run up to 300 times faster than on the real robot when using the fast simulation mode. Lets you program the robots in C, C++ and Java, or from third party software through TCP/IP. 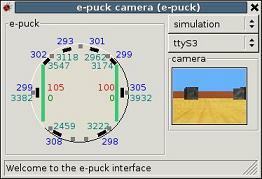 Transfers controllers to real mobile robots, including e-puck, AIBO, LEGO Mindstorms, Khepera, Koala, and Hemisson. Simulating complex robotic devices including articulated mechanical parts requires precise physics simulation. Webots relies on ODE (Open Dynamics Engine) to perform accurate physics simulation wherever it is necessary. The graphical user interface of Webots allows you to easily interact with the simulation while it is running. Creates AVI or MPEG simulation movies for web and public presentations. Includes many examples with controller source code and models of commercially available robots. Discount available when purchased with e-puck robot. Model of Koala mobile robot with two motors, wheels, and 16 infrared sensors.